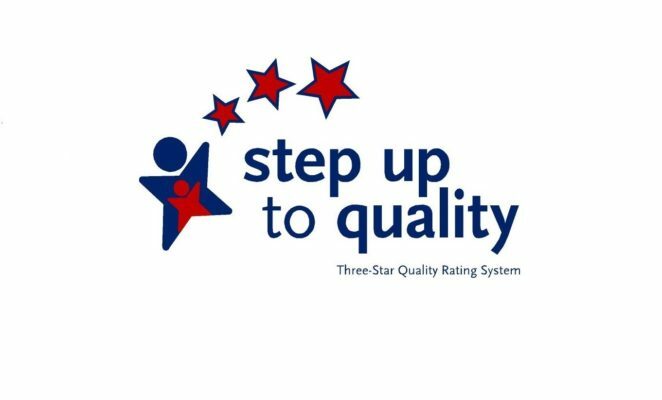 In recognition of a commitment to quality and an ongoing dedication to the learning and development of children, Cleveland Child Care and Early Learning Center has received a Two- Star Step Up To Quality Award from the state of Ohio. • Require administrators and teachers to attend 20 hours of specialized training every two years. • Hire teachers with higher education qualifications. • Use self assessments to improve classroom practice. • Use the Ohio’s Early Learning and Development Standards to create activity plans to support the learning of the children. • Value strong relationships with families.“Cleveland Child Care and Early Learning Center believes in providing the highest quality care to the children and families that we serve. Step Up To Quality assists our teachers and team in supporting the children with their development and learning needs.” said Ragelle Gigante, Executive Director of Cleveland Child Care and Early Learning Center. Research confirms that the first five years of a child’s life have a direct impact on how children develop emotional well being, in addition to learning and social skills. Cleveland Child Care and Early Learning Center serves children from six months to twelve years old with a nurturing daycare and quality programs for school age children. The center includes healthy eating options for children and parents, a site based garden that gives children hands on experience with gardening and summer camp and school age programs. In 2015, Cleveland Child Care and Early Learning Center looks forward to obtaining a 3-Star status with Step Up To Quality to become an official partner of CMSD’s PRE4CLE plan,working with OSU Extension/Summer Sprout on enhancing the farm to daycare initiative, and being recognized as a certified Ohio Healthy program participant.